With the White Sands International Film Festival this week, don’t miss any of the coverage of the great films, workshops, activities and more. Visit here often for updates and reviews this entire week as thefocusedfilmographer.com is the official blog for coverage of WSIFF. 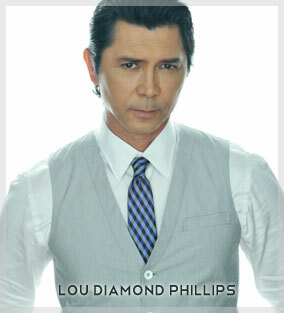 Enjoy today’s spotlight: My interview with Lifetime Achievement Award winner Lou Diamond Phillips. It is always a fun day when celebrities descend upon the city of Las Cruces, NM. A certain buzz is in the air and excitement lingers like smell of recently lit firecrackers on the Fourth of July. 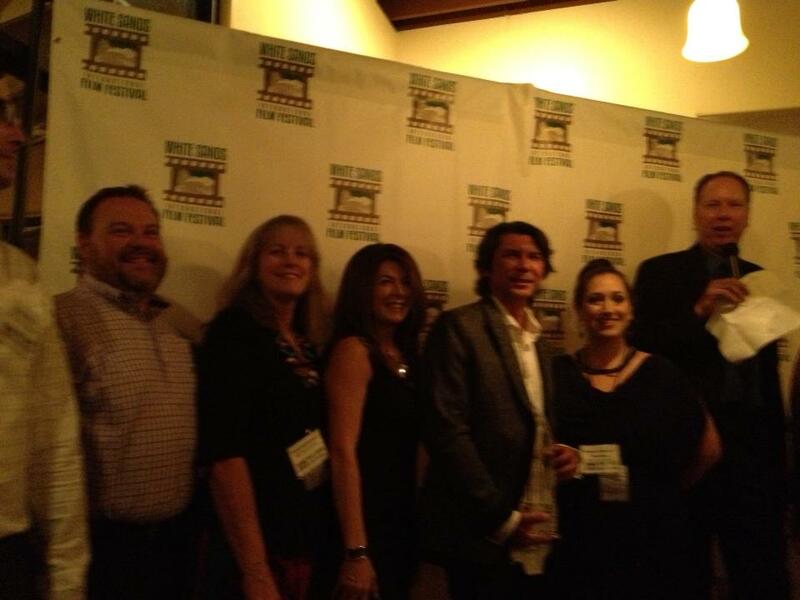 Yesterday, September 6th, Golden Globe nominee Lou Diamond Phillips graced the White Sands Int’l Film Festival with his presence, not only to receive an award, but also to support the art of filmmaking and introduce the film La Bamba, for which he is known for portraying singer Ritchie Valens. Hundreds of fans greeted the gracious gentleman who obliged every asking fan with a smile, a photograph, a hug, an autograph and then some. 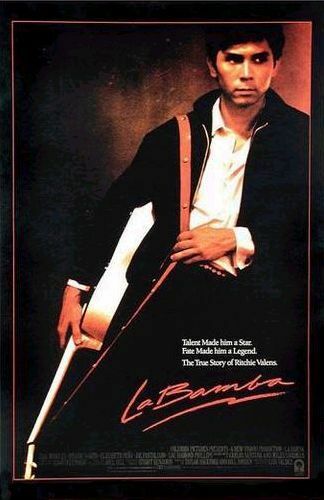 As part of the recognition for Lou (as he preferred to be called), WSIFF scheduled showings of not only La Bamba, but also Young Guns (which played earlier on Friday) Stand and Deliver (Saturday at 1:30pm) and his newest feature, Sanitarium (Saturday at 4pm). After a crowded welcome, fans shuffled into Theater#3 to watch the 1987 classic to be preceded by an introduction by none other than Lou himself. In a fun manner, Lou led the crowded theater in a “Not my Ritchie!” chant prior to expressing his gratitude to all in attendance. A man full of class and comedy, his surprise did not end there as he willingly chose to meet with this humble blogger for a few minutes in the LaunchPad Cafe at the Cineport10 for an interview once the screening of La Bamba began. Below is an excerpted transcript of my interview with Lou. Terrence: First of all, thank you for taking the time to meet with me, Lou, and congratulations on your Lifetime Achievement Award. Lou: Thank you. And you know, this actually is the THIRD Lifetime Achievement Award I have received, including one from the Philippines. So, Las Cruces and this White Sands International Film Festival Achievement is truly international. TFF: I did NOT know that. Congratulations. You deserve it. By the way, my mother is a big fan. LDP: Oh, well thank you! TFF: Now there are several of your films playing at the festival, including Sanitarium which I haven’t gotten to watch but I am really excited to see it Saturday. LDP: Well you should be! It’s a lot of fun. I mean, the thing that I’m most proud of, quite honestly, is Kerry [Valderrama] the director. You know, I grew up in Corpus Christi, Texas and I knew that he was trying to kickstart a film community in San Antonio so when I started in Dallas it never sort of materialized and we always hoped that it would. People like Robert Rodriguez and Mike Judge, have done a lot of it (oh, and Richard Linklater) in Austin, Texas and Kerry’s trying to do that in San Antonio. So when he approached me to do his film, first of all, it’s script was great. Malcolm McDowell was already attached and it was a horror trilogy which happens to be close to my heart. I mean, it’s a genre that I love and I actually love that form of it. I was a big fan of the Twilight Zone and Stephen King’s Cat’s Eye. I’ve appeared [in] and directed The Outer Limits and Twilight Zone, so I was happy to say “yes” and was just thrilled…was just thrilled to utilize a lot of local talent and showcase three writer/directors from the area. And it was partly my way of going back and supporting a real homegrown filmed movie. TFF: Yes, and a lot of people know you for a lot of your movie roles that you’ve done in the past, but I kind of like a lot more of your TV roles. LDP: Well Thank you, man! LDP: See, well there ya go! TFF: …with Kiefer Sutherland and, of course, we know the end of your character. LDP: You could still bring me back. I mean, bring me back, man, in a wheelchair…whatever..because you NEVER saw my body. TFF: It’s so true. And they’re going to be releasing another season with 12 episodes so, maybe! LDP: I could come back and be really really annoyed. TFF: Maybe so! I’m still hoping for them in trying to do a movie, but I really like a lot of the TV roles. My roommate is a big fan of Stargate. LDP: I actually loved that show and that cast. It’s a shame it didn’t get a chance to really blossom like the other Stargate series did, but it was, it was so different and I think maybe they had 15 years of Stargate in one form or another on Syfy I think they had felt it had run its course. TFF: And I read that Ronald Emmerich is looking at rebooting to make another trilogy of Stargate. LDP: Well interesting! That’s great. Because, quite honestly, Dean Devlin is a very good friend of mine. Dean and I started together as actors, what? 26 years ago? and I did The Triangle mini-series with him and also Bryan Singer, so…good for him because I believe he was not associated with the television series. TFF:..and the things that you do for the Armed Forces that I have learned in the past month including the show on the Military Channel that I did not know previously. And so I thank you, coming from a military family myself. LDP: As did I. and that’s why I do it. I think it is very important. No matter what side of the political fence you fall down on, you know, it is simply the duty of a good citizen to support our troops and to support their efforts and realize that these are young men and women putting themselves in harm’s way to protect our way of life. And I don’t care what you think of whatever administration happens to be presiding in the White House it doesn’t matter. We should support our troops. LDP: I had the GREAT honor of speaking for the Vietnam vets at the memorial at the Wall this year on Memorial Day and I’m about to become the spokesperson for the VFW. So, I mean, that’s a personal thing for me. The fact that I was on the Military Channel helped me to do a lot of this and to continue to work with the Wounded Warrior Project. Operation Second Chance with the USO gave us a really lovely award for this show that I do on the Military Channel “An Officer and a Movie.” So, I mean it is an ongoing thing and you try to get behind the things that speak to your heart. TFF: Yes, and I am grateful to you specifically for that and all that you do in support of our troops. I’m not certain that a lot of people know that about you. LDP: Well thank you. And that’s the whole thing though, isn’t it? You don’t have to toot your own horn. You do it because you want to not because you need the attention. TFF: Exactly. and that’s the right reason right there. and I just wanted to make sure to tell you thank you for that. LDP: Well thank you, Terrence. TFF: And thank you for your time. I know you are pressed for time and I don’t want to keep you as I’m sure we will see each other at other events. LDP: You bet. I appreciate that and make sure that you mention Filly Brown. I’m really proud of that title. OnDemand, DirecTV, Redbox, Netflix. It’s all over the place right now. TFF: I definitely will. I’ve been looking forward to seeing it myself. LDP: I hope you enjoy it. It’s a really cool project. TFF: Thanks so much, Lou. Enjoy the festival and congratulations. LDP: And thank you, Terrence. Same to you. 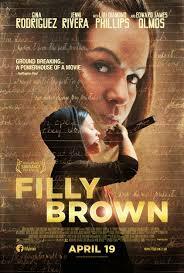 As requested by Lou himself, do not forget to look up Filly Brown starring Lou along with Jenni Rivera and Gina Rodriguez. It is currently available to stream via numerous methods, including Netflix. Last night, after the showing of La Bamba (which was pretty packed), Lou was presented with the Lifetime Achievement Award at the VIP event. I was there along with many filmmakers and fans. He took the time to take photos with more fans and even joined actor Christopher McDonald (Requiem for a Dream, Happy Gilmore) for some further photographs with fans. What a great event! Congratulations, Lou! And thank you for the heartfelt speech and for coming to Las Cruces. We are glad you “feel like a local here,” because in our eyes, you are one. 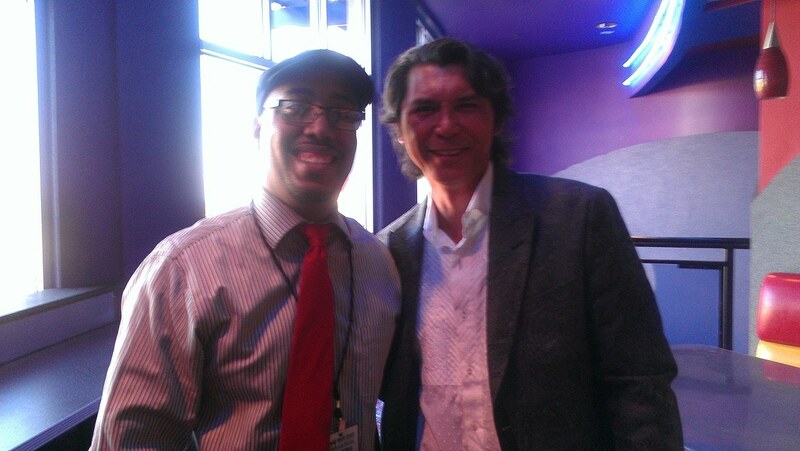 For another chance to meet Lou Diamond Phillips, be sure to attend the White Sands International Film Festival today for the screening of Sanitarium followed by a Q&A only at WSIFF…and while you are there, see some more of the great submissions during the final day of regular scheduled screenings as tonight will be the Awards Gala at the Rio Grande Theater followed by the winner showings on Sunday. See you there! Previous #WSIFF: Reviews to Use & Help Choose, pt 6. Superb stuff Terrence. Good to see you rubbing shoulders with the stars. Man, I grew up watching this guy. I have fond memories of his films.